When thinking of foodie destinations in Newy, Adamstown may not be the first suburb to pop into your mind. Think again! The Barn has only been open for a matter of weeks but it is already making waves and, we’re calling it, has officially put Adamstown on our foodie map! To locals, this is not new news, The Barn is the big brother of The Bondwood - a 1950’s style travelling van which lived in the space The Barn graces now. Owners Matt and Natalie Austin decided on a change of pace from The Bondwood, choosing to experiment with food whilst keeping true to their well known, quality coffee. Their diverse menu caters for everyone, even the kids! (half serve of their favourite meal, anyone?) 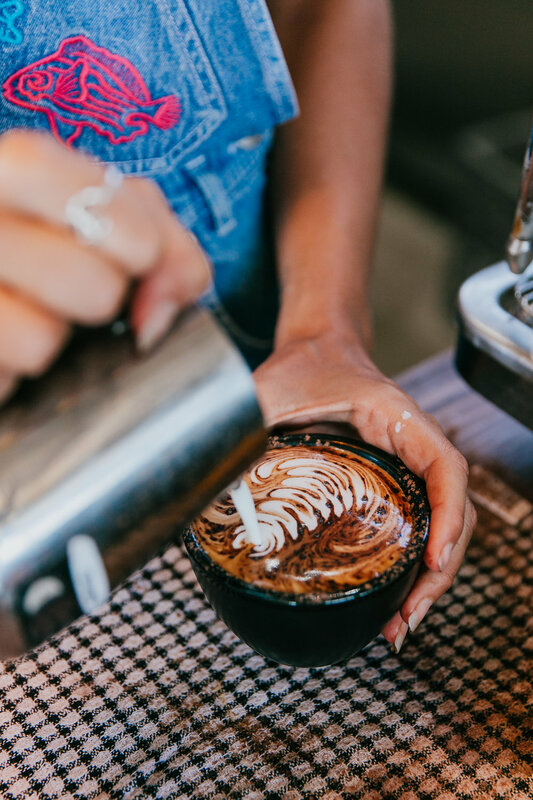 True to their style, they provide top-notch coffee roasted here in Newcastle from Crema Coffee Garage, whilst their son, the head barista, makes it just to your liking! Walking into The Barn feels a little like returning to a home you didn’t know you had. On weekends you’ll hear talented muso’s playing live music up in the loft whilst the friendly staff cater to all your needs.